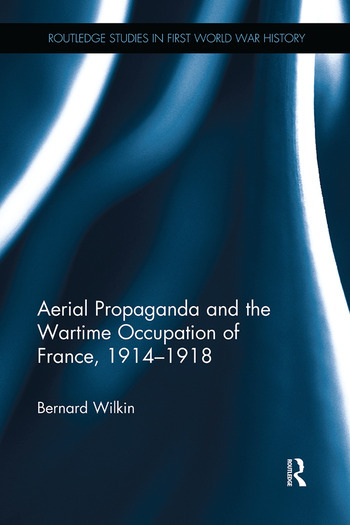 Aerial Propaganda and the Wartime Occupation of France, 1914-1918 explores the combined role played by the French and British Governments and Armies in creating and distributing millions of aerial newspapers and leaflets aimed at the French population trapped behind German lines. Drawing on extensive research and French, German and British primary sources, the book highlights a previously unknown aspect of psychological warfare that challenges the established interpretation that the occupied populations lived in a state of total isolation and that the Allied governments had no desire to provide them with morale support. Instead a very different picture emerges from this study, which demonstrates that aerial propaganda not only played a fundamental role in raising morale in the occupied territories but also fuelled resistance and clandestine publications. This book demonstrates that the existing historiographical portrayal of the occupied civilian as an uninformed victim must be replaced by a more nuanced interpretation. Bernard Wilkin is currently lecturer in Modern History at the University of Exeter, UK. His research interests lie primarily in the occupation of France during and after the Franco-Prussian conflict and during the First World War. He has also written on propaganda, fascism and has recently finished a book on the daily life in the French army during the Napoleonic wars.